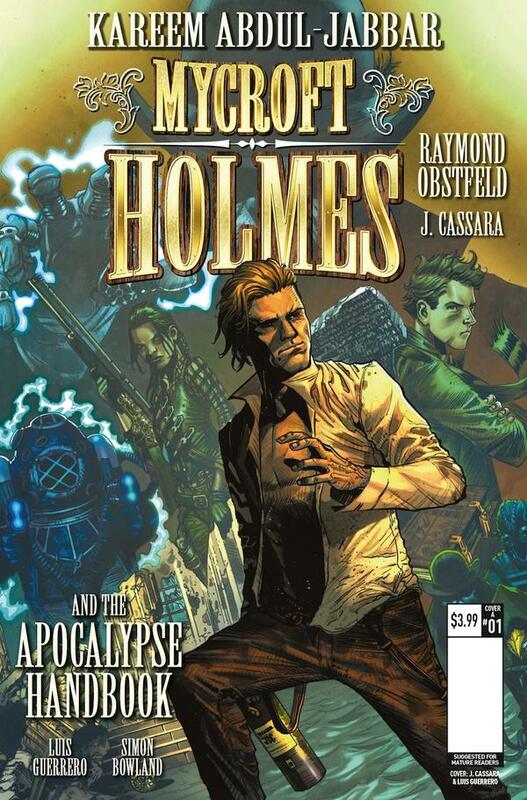 The Fellowship was fortunate enough to obtain a copy of MYCROFT HOLMES AND THE APOCALYPSE HANDBOOK #1 from Titan Comics. Kareem Abdul-Jabbar and Raymond Obstfeld write, Joshua Cassara draws, Luis Guerrero colors and Simon Bowland letters. In 1874, Mycroft Holmes is a student at Cambridge and bored out of his mind. He finds no challenge in the lectures or the professors; in fact, only one of them will even tolerate him. He delights in annoying his fellow students and his Oxford-based little brother. But his talent is undeniable, and for that his professor friend arranges a meeting with a certain recognizable personage. Sherlock Holmes famously admitted that the only man more talented than himself was his brother Mycroft. At least one Holmes aficionado and NBA legend agrees, and so he gives us this story of the beginning of Mycroft’s career in government. The threat is very real (though it may appear fantastical), and the story is interesting and quickly paced. The art is also top notch, with amazing detail; I especially like the dungeon scene. This is the beginning of the comics adaptation of the successful novel, and it’s a darned fine start. As a Holmes fan myself I’m excited to see where this story goes. Check it out. 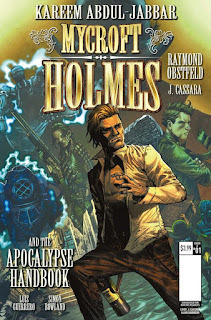 MYCROFT HOLMES AND THE APOCALYPSE HANDBOOK #1 is available now at your FLCS or at titan-comics.com.